Project based learning is engaging. It ignites curiosity and connects students with their community and the world beyond. It reflects the common phrase, “real world learning.” The strategy is flexible for both students and teachers, and encourages students to learn by doing. It is ideal for developing the Competencies identified in the Ministerial Order on Student Learning. However, it is also poorly defined, demanding of time and technology and challenging to implement well. All told, in my opinion, developing your repertoire in this instructional strategy is totally worth it. PBL promotes critical thinking, memory, creativity and decision making skills in a way not easily achieved via any other pedagogical strategy. 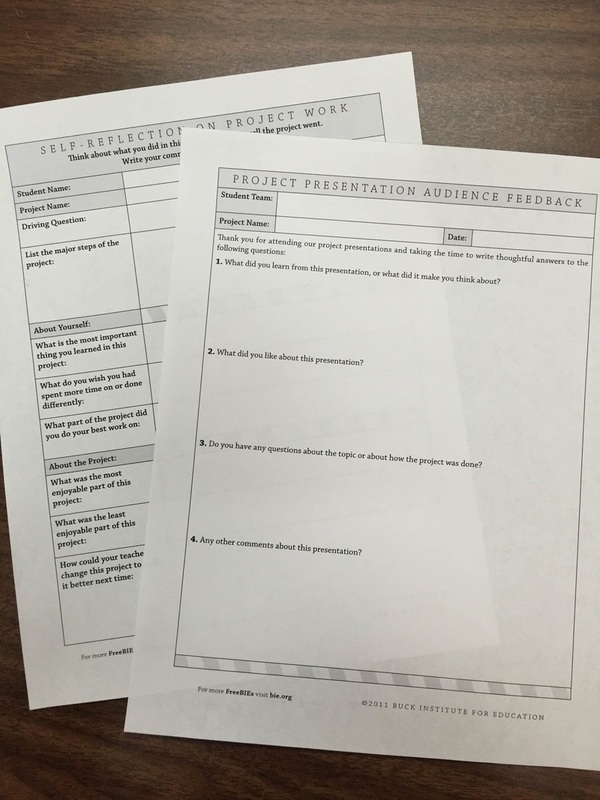 ​“studies suggest that project-based learning, when fully realized, can improve student learning. However, the research also underscores how difficult it is to implement project-based learning well. Together these findings suggest caution in embracing this practice unless the conditions for success are in place, including strong school support, access to well-developed projects, and a collaborative culture for teachers and students. What areas of content in your subject might lend themselves to this type of learning? ERLC PD video and check their listings for sessions which occur several times each year. 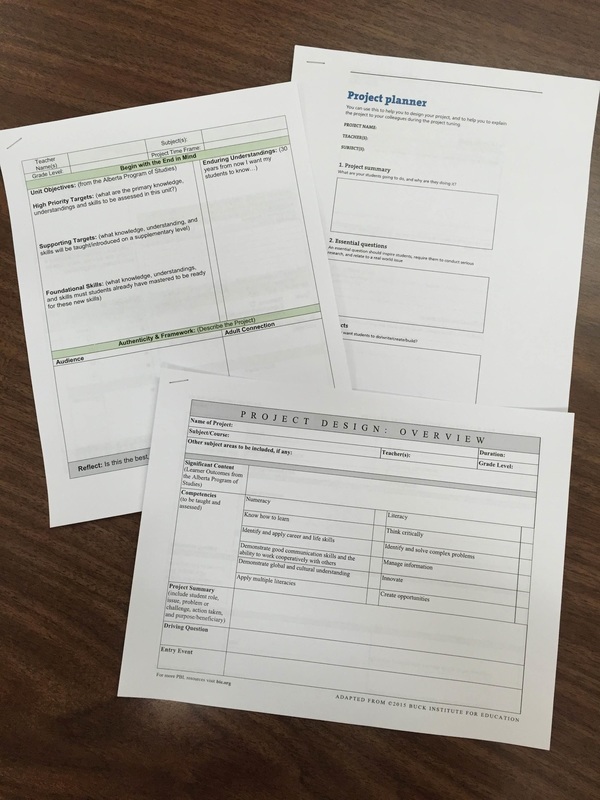 ​Once you have made the decision to try a PBL unit with your students, how do you keep all of the various components of project based learning organized? 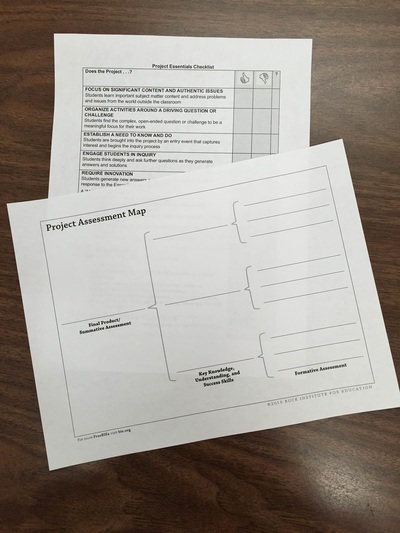 How do students know where they are on the journey? Projectopoly is a game board designed to assist teachers with tracking multiple student projects. It is accessible through the PHRD Connections website. The 20x20 board can be printed and laminated for re-use. Project titles, due dates and progress timelines may then be added with erasable markers for each project. 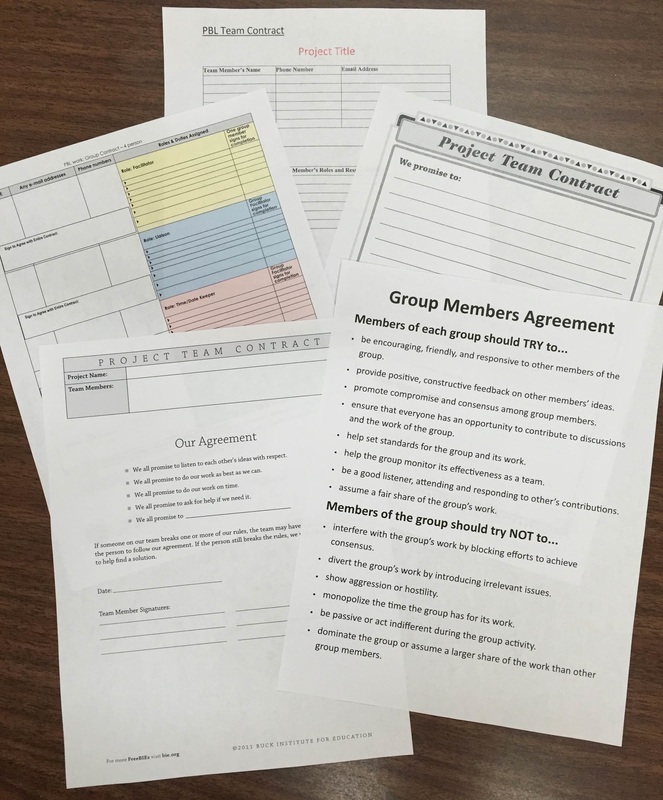 ​Within the board are spaces for entry events, group selection, roles and contracts, three benchmark assessments, meetings with the teacher, critical friends opportunities to gather peer feedback and self-reflections. The board has been designed for use with any project based learning experience. Not all of these experiences will require all sides of the board. If your project uses only one or two interim benchmarks, then skip over the unnecessary spaces. 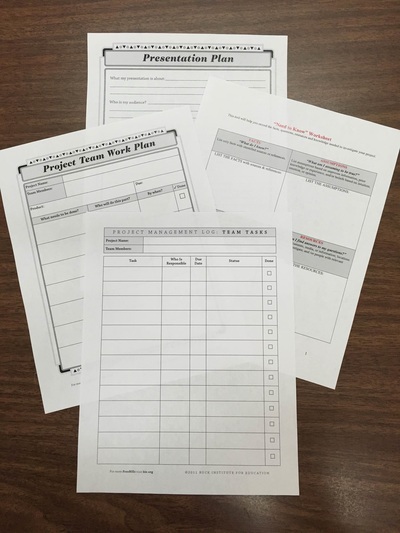 ​There are other documents in the PBL folder, including a variety of planning and tracking documents for both teachers and students to increase possibilities for success. There is also a great Teaching Guide for PBL called, Work that matters. 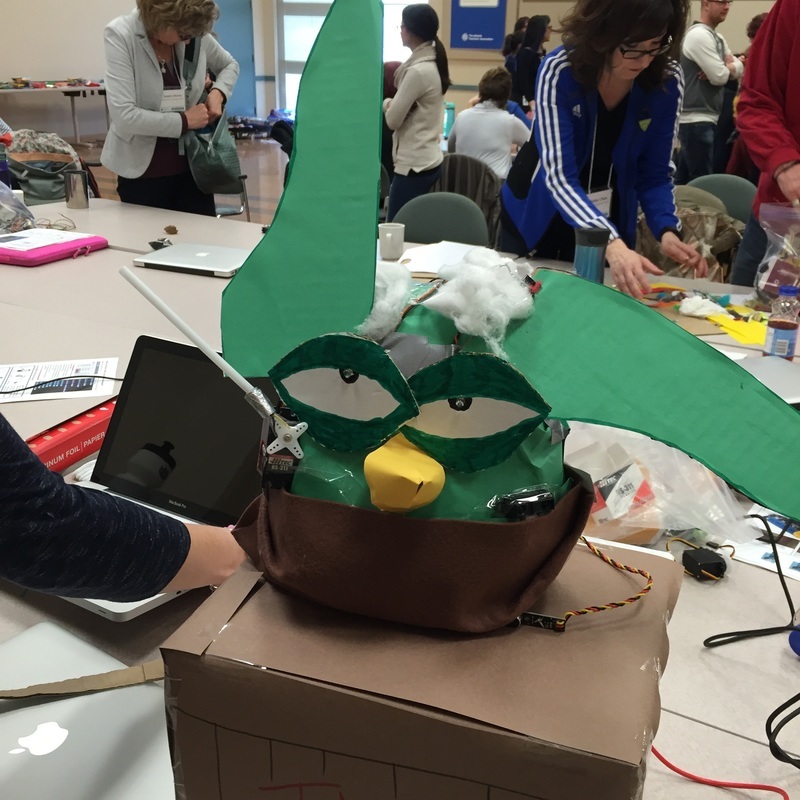 Last week ETCATA hosted an Invent to Learn workshop with Gary Stager and Sylvia Martinez. 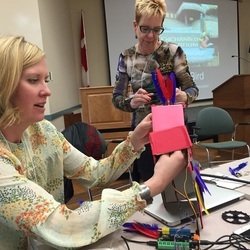 This experience provided Alberta educators with two full days of learning about making, tinkering and engineering in the classroom. Attendees were all provided with a copy of their book, Invent to Learn: Making, Tinkering, and Engineering in the Classroom. 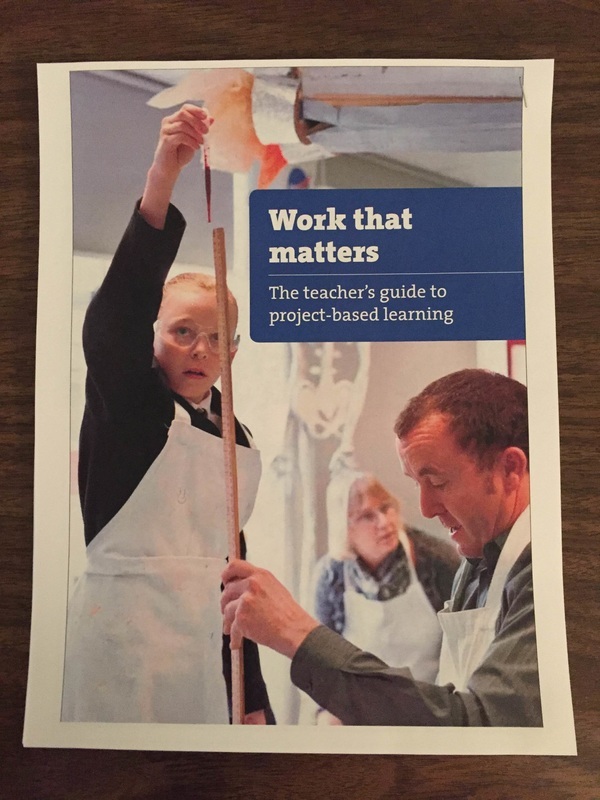 It is an excellent read filled with resources. 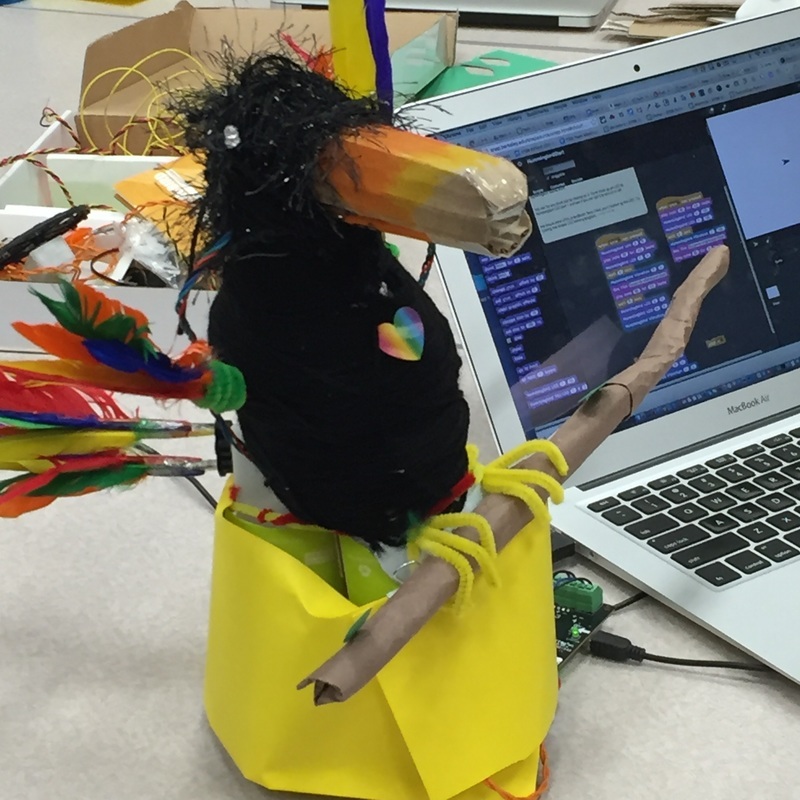 I cannot recommend it enough for those interested in MakerEd. If you were not able to attend you may be interested in checking out the collaborative notes started and shared by Janet Bell. They contain resources from Gary and Sylvia as well as some bonus material provided by other note taking collaborators. Sharing is caring! Day one was focused on learning and ended with some time to check out different materials and tools. 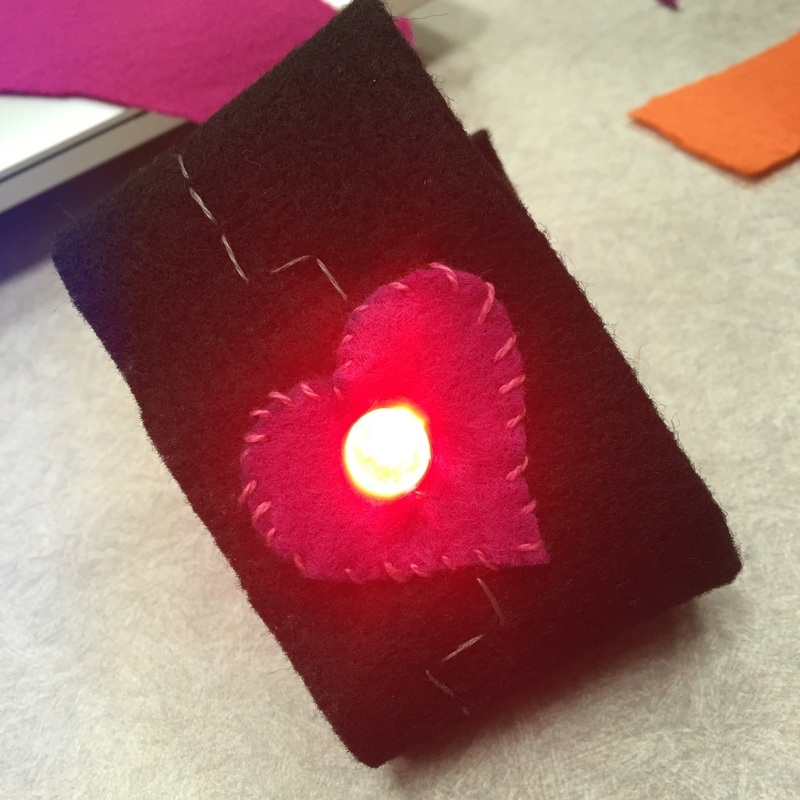 I chose to work with the wearable tech materials. I have been trying to get a light up bracelet to work with no luck so I was determined to try again and this time I was able to get it to light up! 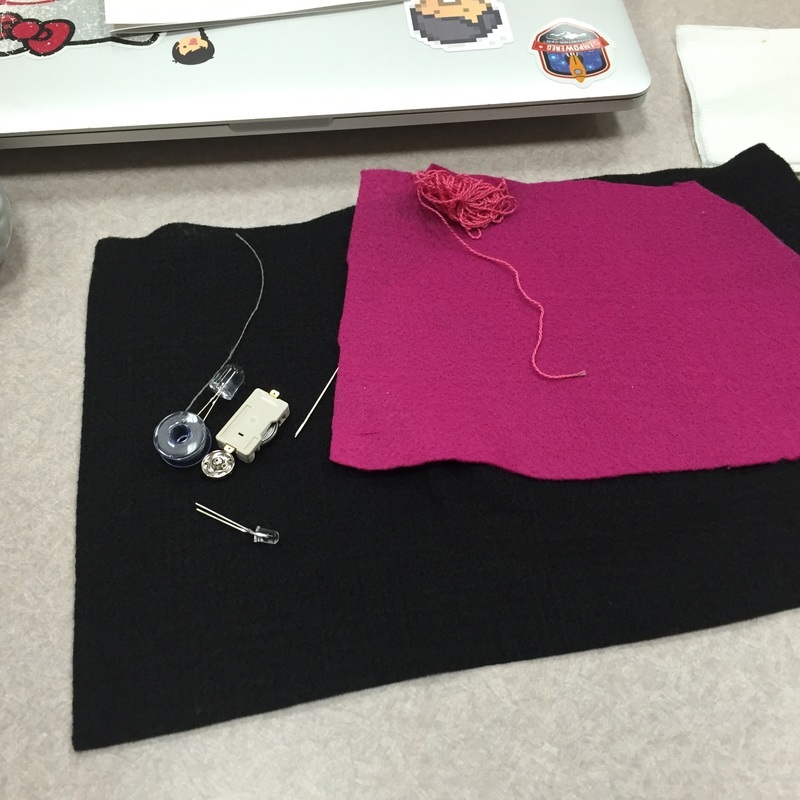 After some tips from Sylvia I realized I needed to wrap the conductive thread quite a few times, very tightly at the connection points. 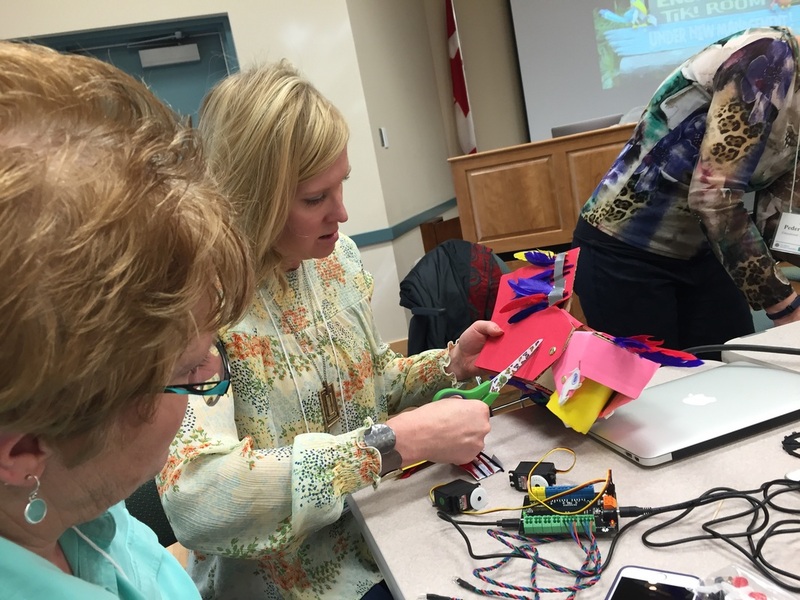 ​Hands down, my favourite part of the workshop was being immersed in a maker challenge. 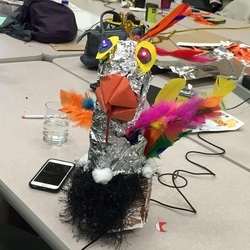 Our challenge was simple: make a bird - if it sings and dances, great. 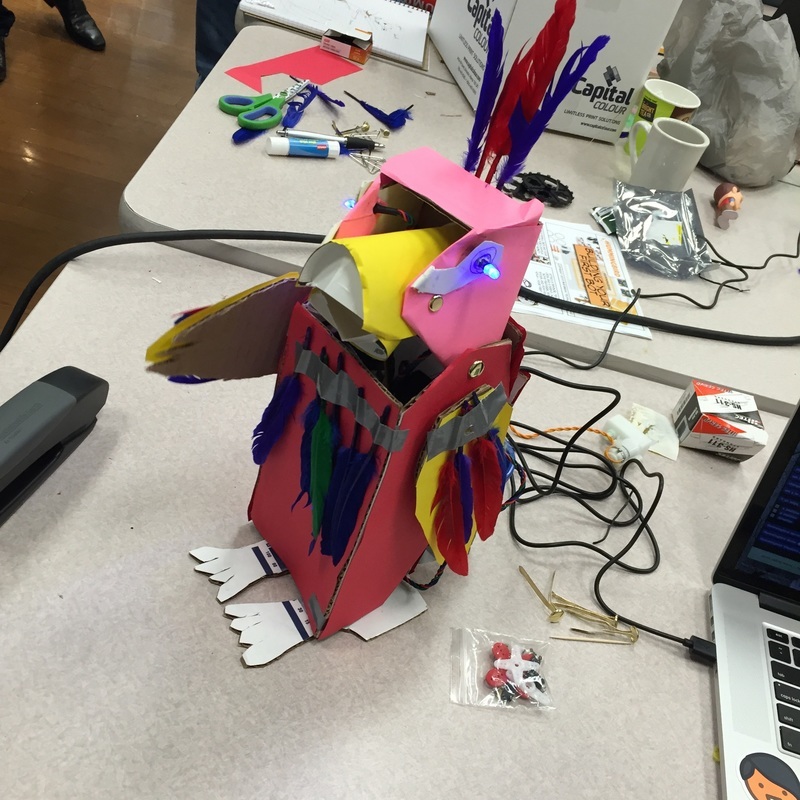 We were given a hummingbird robotics kit, access to a bunch of materials, shown a clip from the Disneyland's Enchanted Tiki Room and put in small groups of 4-5 people. Once our time was up we had the opportunity to showcase our creations to the rest of the groups. To see what others created was inspiring. Each bird so unique. Looking at them all you could see the artistic and technical strengths people brought to their projects. The Yoda bird moved in time with the Star Wars theme song and one group had worm drop out of their bird's beak. -connects with the new CTF curriculum (coming in) - YES! Thank you Gary Stager, Sylvia Martinez and ETCATA for providing this learning opportunity for Alberta educators. It was a hard two days of fun! Maggie and I are currently in the process of starting a makerspace in an elementary school and this workshop has given us some great resources to take back and use. Yesterday I had the opportunity to participate in a blanket exercise led by Audrey Degner at Pembina North Community School. This powerful interactive experience helps students to better understand the history of Aboriginal peoples in Canada. It fits perfectly with Social Studies outcomes in grades 5, 7, 9, 10, 11 and 12. I would encourage anyone interested in the Blanket Exercise to talk to Audrey or to check out the Karios Canada website. This post is the second in two-part series of posts on some ideas I have been exploring over the past year in a half through in my Graduate Program. If you missed part 1, you can find it here. These ideas originate from a project I completed, Multimedia Literacy in the Elementary Language Arts Classroom: A RESOURCE FOR EDUCATORS. ​So often I hear people talking about educational technology without thinking about the why. This series of posts focuses on why I believe we should be moving to teaching not just literacy, but multimedia literacy in schools. Honouring and engaging in multimedia literacy in classrooms helps to create more student-centered environments. When educators see the value of multimedia literacy they can better communicate with and help their students recognize their own strengths and challenges with regards to different modes of literacy. According to The New London Group (1996), when learners juxtapose different languages, discourses, styles, and approaches, they gain substantively in metacognitive and metalinguistic abilities and in their ability to reflect critically on complex systems and their interactions (p. 69). Students that are aware of their strengths and challenges are better able to make decisions when it comes to communicating their understandings in class. At the same time, educators should also push students out of their comfort zones to challenge themselves and their understandings. Digital tools and resources have become ubiquitous in today’s modern world. When we discuss multimedia literacy, the impact of digital technology and digital literacy cannot be underestimated. The New London Group (1996) argues, the literacy pedagogy now must account for the burgeoning variety of text forms associated with information and multimedia technology (p.61). Multimedia literacy and digital literacy share interrelated skills that students should know how to apply to both digital and nondigital media. The affordances of technology have shifted the way people work in their school lives, work lives and personal lives. It is our job, as educators, to prepare our students to participate fully in the world they live in. There is no question that for them, that is a digital world. Jenkins (2013), argues that it would be tragic if we allowed new media literacy practices to take over the place of traditional print literacy practices and that not engaging with new media out of fear of change, would be equally tragic. Mike Ribble is a well respected expert in the field of education, with regards to digital citizenship. Ribble (2013), proposes a model to move forward in teaching digital citizenship in schools. His framework for digital citizenship includes 9 elements: digital etiquette, digital access, digital law, digital communication, digital literacy, digital commerce, digital rights and responsibility, digital security and digital health and wellness. These elements fall into 3 categories: respect yourself/respect others, educate yourself/educate others and protect yourself/protect others. 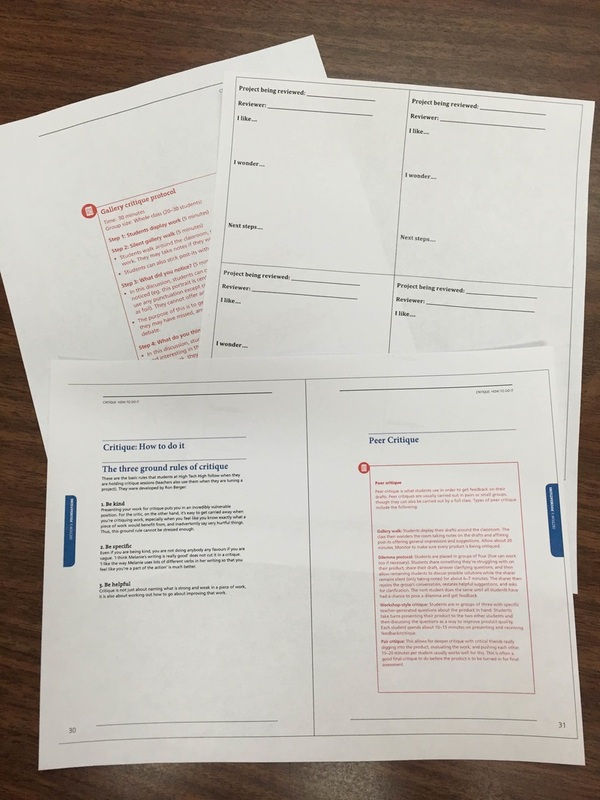 Ribble cites, the International Society for Technology in Education (ISTE) as providing guidance by updating the National Education Technology Standards (NETS) for educational leaders, teachers, and students. The NETS integrate educational technology standards across all educational curricula and are recognized in the United States, and various countries worldwide. This digital world we live in requires us to educate our students on the moral and ethical issues surrounding the use of digital technologies. Incorporating multimedia literacies, and thus digital literacies in the classroom, allows us to embed lessons of digital citizenship in authentic ways. Digital citizenship is best taught in context as opposed to a one off lesson here and there. Ribble, M., & Miller, T. N. (2013). Educational Leadership in an Online World: Connecting Students to Technology Responsibly, Safely, and Ethically. Journal Of Asynchronous Learning Networks, 17(1), 137-145. This blog and resources website has been developed through the work of various AISI coaches in PHRD. The lead collaborative teachers for the 2015/2016 school year, Cheryl Frose, Christine Quong and Tammy Tkachuk will continue to update this site. If you have resources you would like to share or would like to contribute to the blog, please contact us.